- SCW Heavyweight Title Tournament (January 1, '83) = Morton took down the Ninja Warrior, then fell to Adrian Adonis. Tully Blanchard won the tournament. 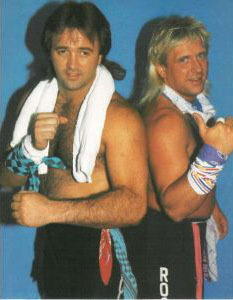 - Mid-South Superdome Extravaganza (April 7, '84) = The Rock-n-Roll Express (Morton & Robert Gibson) defeated Nikolai Volkoff & the Russian Invader. - Mid-South Superdome Extravaganza (June 14, '86) = Morton lost to the NWA World Champion, Ric Flair. - NWA Great American Bash '86 (July 5) = Morton lost a "Steel Cage" Match to the NWA World Champion, Ric Flair. - NWA Clash of the Champions III (September 7, '88) = Morton won a "Russian Chain" Match over Ivan Koloff. - WCW Superbrawl I (May 19, '90) = Morton was pinned by Danny Spivey. - WCW Running The Gauntlet (September '90) = Morton fell to Bobby Eaton. - WCW Halloween Havoc '90 (October 27) = Morton & Tommy Rich beat the Midnight Express. - WCW Starrcade '90 (December 16) = Morton & Tommy Rich won over the Freebirds. - WCW Clash of the Champions XIV (January 30, '91) = Morton was pinned by Terry Taylor. - WCW WrestleWar '91 (February 24) = Morton, Tommy Rich, & the Junkyard Dog retained the WCW World 6-Man Titles, beating James Earl Wright, Buddy Lee Parker, & the Big Cat. - WCW Great American Bash '91 (July 14) = Morton took down Robert Gibson. - WCW World Tag-Team Title Tournament (July/September '91) = Richard Morton & Terrance Taylor fell in the first round to Todd Champion & Firebreaker Chip. Arn Anderson & Larry Zbyszko won the tournament. 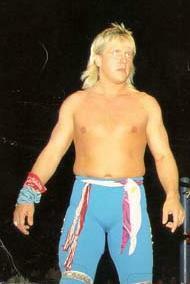 - WCW Light Heavyweight Title Tournament (August/October '91) = Richard Morton beat Johnny Rich in the quarter-finals. - WCW United States Heavyweight Title Tournament (August 25, '91) = Richard Morton fought to a Double Disqualification with Dustin Rhodes. Sting won the tournament. - WCW Clash of the Champions XVI (September 5, '91) = Richard Morton defeated Mike Graham in the semi-finals of the WCW Light Heavyweight Title Tournament. - WCW Halloween Havoc '91 (October 27) = Richard Morton lost to Brian Pillman in the finals of the WCW Light Heavyweight Title Tournament. - WCW Starrcade '91 (December 19) = Richard Morton & & Dustin Rhodes took down Larry Zbyszko & El Gigante. 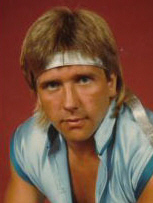 Later on, Morton competed in a "2-Ring Battle Royal", which was won by Sting. - WCW Clash of the Champions XVIII (January 21, '92) = Richard Morton lost to Johnny B. Badd. - WCW Superbrawl II (February 19, '92) = Richard Morton & Vinnie Vegas fell to Tom Zenk & Van Hammer. - WCW WrestleWar '92 (May 17) = Richard Morton was beaten by Big Josh. - WCW Beach Blast '92 (June 20) = In a dark match, Richard Morton, Tracey Smothers, & Diamond Dallas Page were taken down by Tom Zenk, Big Josh, & the Junkyard Dog. - SMW Super Saturday Night Fever (January 28, '95) = Morton won, via DQ, over the Unabom. Later on, Morton won a "Battle Royal". - SMW Fright Night (April 8, '95) = Morton lost a "Coal Miner's Glove" Match to the Unabom. - SMW Volunteer Slam IV (May 19, '95) = Morton won a "Scaffold" Match over Al Snow. - SMW Thanksgiving Thunder '95 (November 23) = Morton, Tracey Smothers, & the Dirty White Boy lost, via DQ, to Robert Gibson & the Heavenly Bodies. - SMW Thanksgiving Thunder '95 (November 25) = Morton, Tracey Smothers, & the Dirty White Boy fought to a Double Disqualification with Robert Gibson & the Heavenly Bodies. - ECW House Party '97 (January 11) = Morton & Tommy Rich fell to the Gangstas. - ECW Crossing The Line Again (February 1, '97) = Morton was pinned by Stevie Richards. - FMW 8th Anniversary Show (April 29, '97) = Morton & Ricky Fuji beat Dragon Winger & Hido. - IWA Mid-South Chris Candido Cup Tag-Team Tournament '07 (May 25 - 26) = Morton & Z-Bar lost in the first round to Ian Rotten & Mickie Knuckles. Sal & Vito Thomaselli won the tournament.